Saturn's rings and three of its moons. When I was a kid, the mystery of Saturn’s vast rings had me in their sway. I did a number of school projects on our solar system’s second-largest planet and even attempted to draw a comic book chronicling the adventures of its alien inhabitants. The recent photos coming back from NASA’s Cassini spacecraft have helped rekindle that fascination (although I’ve long since given up any aspirations of being a comic artist). Yep, those vast rings still hold plenty of mystery. 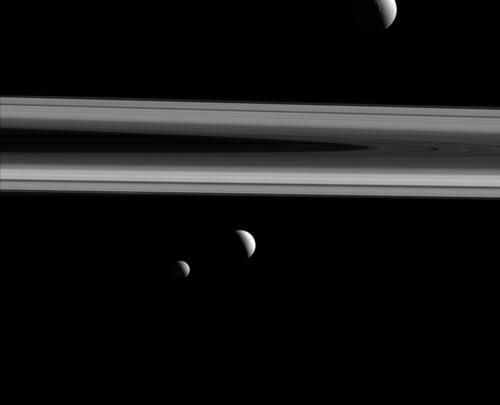 Take, for example, this photo Cassini snapped of three of Saturn’s moons — Tethys, Enceladus and Mimas — straddling the rings. In this configuration, Tethys (660 miles across) appears above the rings, while Enceladus (313 miles across) is just below at the center and Mimas (246 miles across) is located to its left. 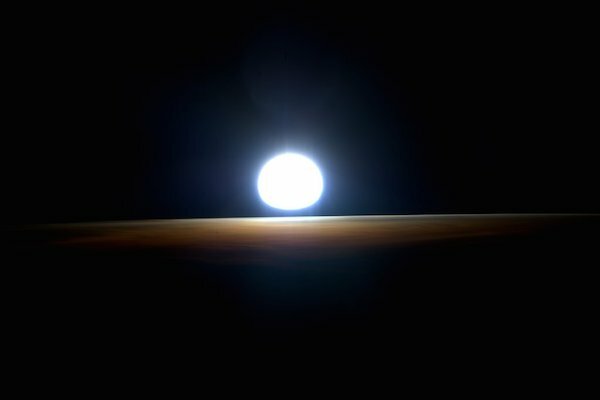 For those keeping track of such things, the craft acquired the shot at a distance of 837,000 miles from Enceladus. Tethys was 1.2 million miles away and Mimas was approximately 1.1 million miles away. The Cassini mission is a cooperative project of NASA, the European Space Agency and the Italian Space Agency. 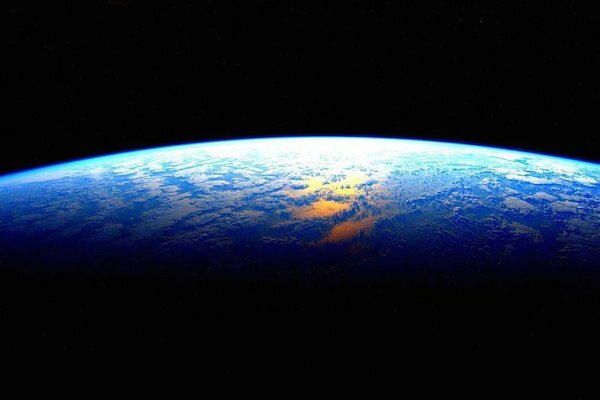 Unless you’ve been lost in orbit, you’ve probably heard about Scott Kelly, the NASA astronaut who returned to Earth yesterday after an astounding 340 days in space. 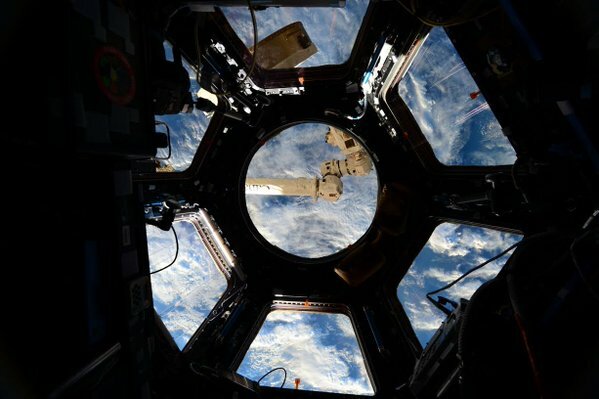 His trip, the longest completed by a U.S. astronaut, is expected to yield important data on the effects of long-term life in space on the human body. 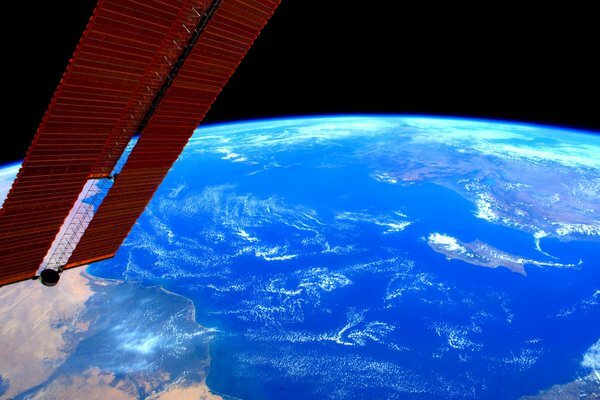 During Kelly’s 5,000 trips around the planet on the International Space Station, he had time to document his journey on social media using #YearInSpace. 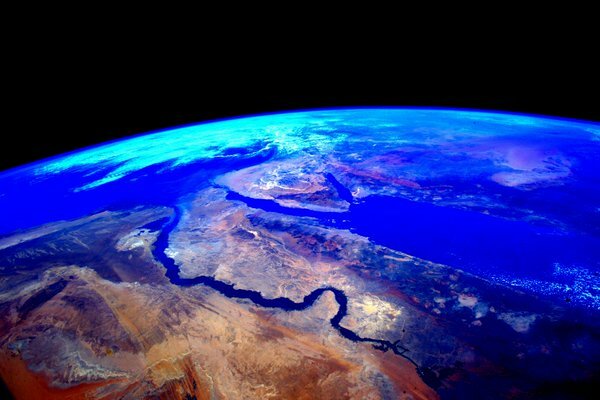 The stunning photographs he posted afford those of us stuck on Earth an opportunity to dream big. 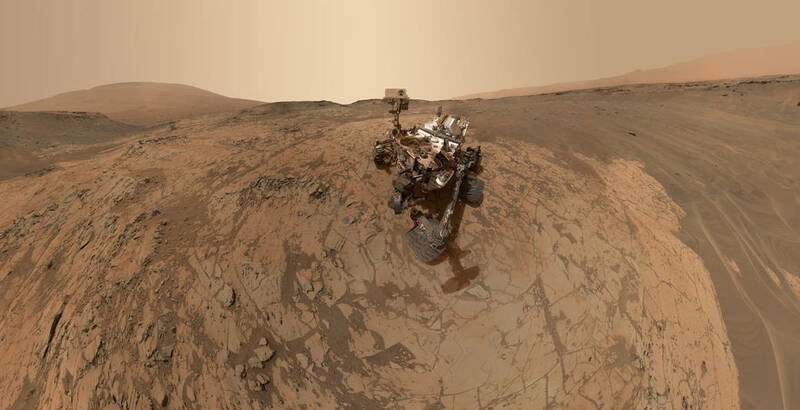 NASA’s Curiosity Rover shot this “selfie” on the surface of Mars, where the robotic vehicle’s drill collected samples from Mount Sharp. The photo is the result of NASA editing together dozens of images taken earlier this year by a camera mounted at the end of the rover’s robotic arm. The arm itself was edited out of the shot to allow a better view of the rover and its Red Planet surroundings. The Pahrump Hills outcrop surrounds the rover and the upper portion of Mount Sharp is visible on the horizon. The darker patches on the ground in the upper right and lower left is the result of ripples of wind-blown sand and dust. Click the photo for a bigger view. NASA’s Cassini-Huygens mission to Saturn continues to amaze. 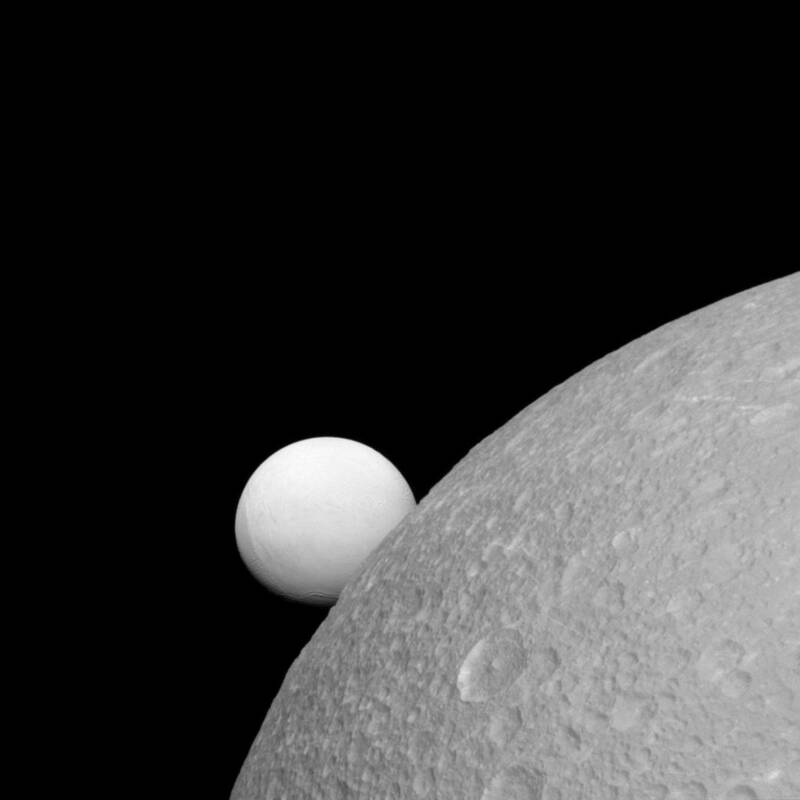 Check out this shot of its contrasting moons, Enceladus and Dione. Sixty-two moons orbit Saturn. Only 53 of them are named. 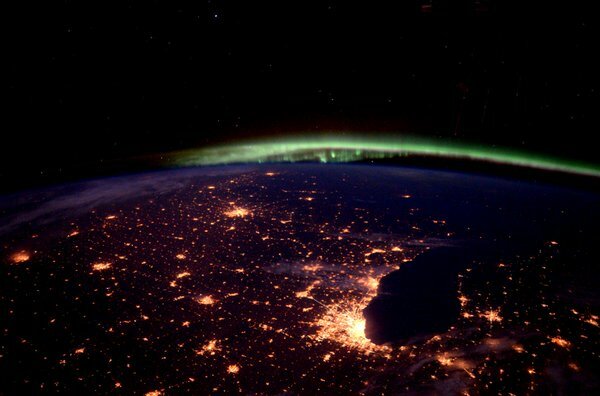 Check out out NASA’s Cassini page for more information on the mission and a bevy of breathtaking photos.